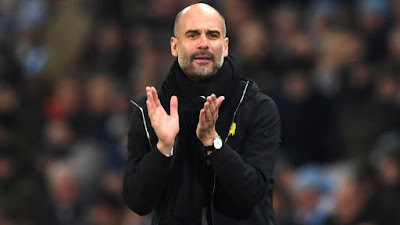 Manchester City manager Pep Guardiola believes Manchester City proved against Newcastle their title charge will not be derailed by complacency. The Premier League leaders beat the Magpies 3-1 thanks to a Sergio Aguero's hat-trick on Saturday after they succumbed to their first Premier League defeat of the season at Liverpool a week prior. Guardiola feels his side's response against Newcastle, which maintained their 12-point lead at the top, showed character and says he is "proud" to manage the team. He said "I said many times it was going to happen, we can lose, so [it is] important the reaction we have to do. Still we have 42 points to play [for]. It is 14 games. It is a lot of games to play and difficult games like Saturday and like Liverpool. It is important to show the team is still there but I don't have the feeling we give up. We want to go through to the final in the Carabao Cup and the FA Cup, so [we have] a lot of games but I think the people have the desire to keep going, to keep going, to keep going. Even with 12 points it is important to see the personality, the team and try to do the things with no mistakes. Never did I not see it this season and that is why I am so proud to be their manager."